While choosing the aesthetics of your vinyl siding is important, it is equally important (if not more) to choose the right siding contractors for your installation. With AJ Construction, you can rest assured that your siding installation will be done with the utmost of precision and care. Our quality workmanship and attention to detail are just as important as the quality of the siding products that we use. AJ Construction employs only top quality siding contractors, and we take many things into consideration when installing your new siding. A great looking siding job starts with quality siding and ends with a beautiful installation on your home. With the products from CertainTeed and the quality siding contractors from AJ Construction, you can rest assured that the new siding on your home will be beautiful and strong. It will protect your home inside and out for years to come. 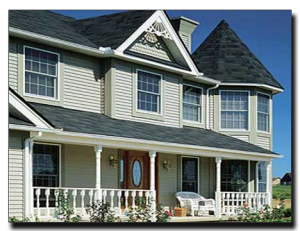 If you’re in need of vinyl siding for your home, please don’t hesitate to contact our siding contractors. Get your free estimate and begin selecting your siding with AJ Construction today!